So, I started working out how to update my improvising program’s algorithm for generating consumable spells, and it turned out to be a lot longer than I initially set out, so you get the result of two weeks of fiddling with numbers. FYI, the material costs for spells in 5e are almost entirely arbitrary and stupid, see more below. Basic scrolls and skills by level are easy enough to reverse generate. Take the intended value, find the nearest value per the official formula, then generate a spell of that level. This is tougher since some have material costs though. I could do a big lookup table of values but then I’d have to recreate all the summary values, but what if I only did that for fairly expensive ones (i.e. things that generate stuff, summon big creatures, or raise the dead?) that would mean doing a lookup table of some specific entries mixed in with a number of [LVL] SPELL with maybe some that are cast at higher levels to fill out the chart. Alternatively, since most of the spells with meaningfully expensive components (i.e. those with cost greater than 5-10% of the spell cost) are limited and iconic, perhaps the scrolls or wands casting them don’t generally come pre-loaded with the expensive components, and thus need them during the casting. More expensive variants could come with the components pre-loaded but then they’ll add cost: twice the cost of the component multiplied by any wand, usage, or descriptor cost modifiers on the spell. 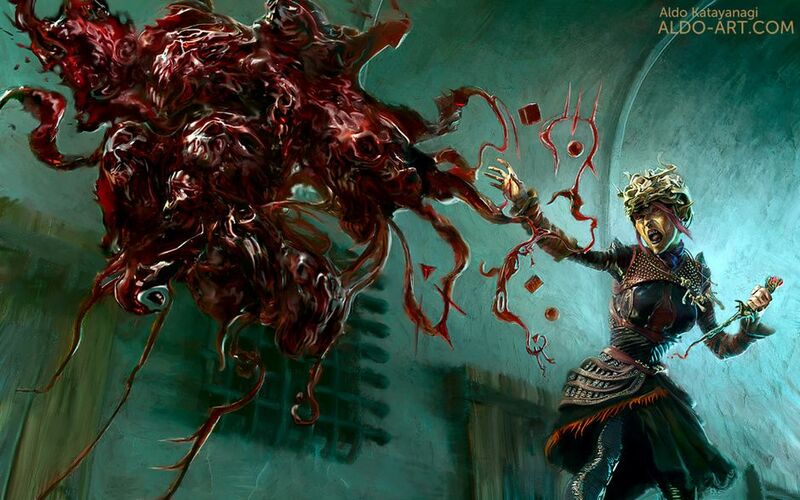 To summarize, most spells with material components fall into three categories: the materials aren’t consumed, the materials consumed are trivial compared to the cost of the spell (<10%), or they are rituals with expenses to keep them from being routinely cast. I do not care about trivial components for the first two categories except for flavor if a player wants to care about them. I also do not care about the arbitrary gating that spells with fixed costs (you must have macguffin X to cast this) as they don’t seem related to the power or usefulness of spells, so I’m ignoring them. The third category I sort of care about as a way to keep mostly the reviving and raising dead spells rare, but really, stoneskin costs you 100 every time you cast it? It isn’t really that strong, the barbarian gets that ability every time they rage, and it isn’t like vanilla 5E is just overflowing with cash. Also, you’re going to nickel and dime a 13th level spellcaster for 25 for each true seeing spell? Yeah, not happening in my games, except maybe as flavor, but only if the players care. The overwhelming majority of these are rituals that won’t be in combat, so I can still require the costly material components to accompany the scroll or wand, unless they buy the more expensive version which has the material cost baked in, but I won’t bother randomly generating them. It also makes sense in that the only people who would want the material baked in are those incredibly tight on space, most people buying a scroll of, say, Hallow, would be intending to cast it on their property or lair, rather than store it in scroll form with the material components already inside. That leaves the following spells with actual costs to care about. I am fine requiring the scrolls regarding raising people from the dead or Sequester to still need components to accompany their casting, I do not see any balance issues with getting rid of the piddly 25 cost associated with Arcane Lock. So I will now proceed not worrying about the material costs. 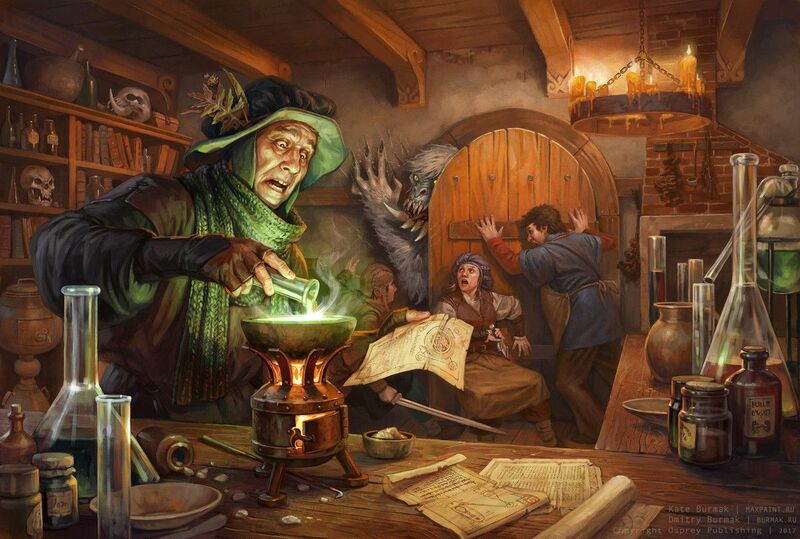 The formula does say to add 10% of the cost of fixed, non-consumed materials, but that is the sort of verisimilitude that no one cares about unless their players really want to get into the potion or scroll business instead of adventuring. If that happens though, you’re going to need a non 5E ruleset or so many house rules you may as well be player Magical Shopkeeper, the Game where you need to take depreciation into account. Otherwise, the 10% is not only very rare, as over 90% of spells have negligible fixed costs, but the markup on what is a daily renewable resource for spellcasters is so high already that I feel comfortable just wrapping all that under the rule [LVL2 multiplied by 10]. So how is any of that useful? From there, spellbooks or other things that use collections of spells (like if I wanted to whip up an NPC that can cast spells as a favor or in combat, or if I wanted a magic item with various spell-like abilities) will be more difficult. 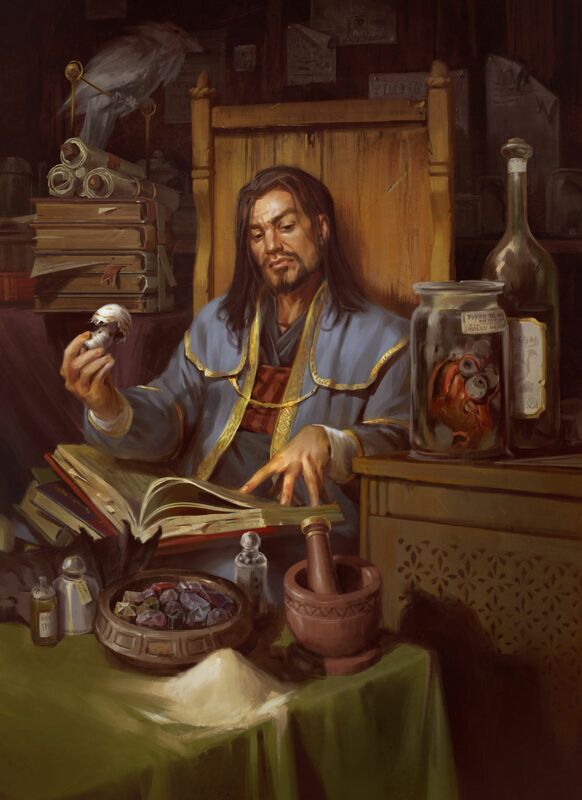 I want to strike the balance of having some variety of spell-levels without going too heavily on low level or high level spells, relative to the value of the spellbook being created. Also, how best to represent the lower level spells being included in the spellbook, should they add their value directly or be discounted? I’ll just aim for spellbooks with complete, learn-able formats to be worth three times a ready-to-cast scroll, because knowledge is powerful (and it brings it in line with other knowledge/skill services in my game like learning languages or small skills). Since the formula of spell level to cost is an exponential growth formula, and most spellcasters generally have all the low level spells they really want covered by their high number of spells known, or have the effects for sparsely cast spells covered by magic trinkets, scrolls, and wands, it probably isn’t meaningful to include severely low level spells relative to the treasure value of the loot. A 19th level wizard’s spellbook surely includes cantrips and 1st level spells, but any adventurers strong enough to loot her corpse wouldn’t care and it would add as much useful information as describing tiny embellishments on a +5 platemail that add a few silver to its price. For example a cantrip would cost 5, a 1st level spell would cost 10, while a second level costs 40, and a third level spell 90. A fourth level spell 160, a fifth level 250, sixth 360, seventh 490, eighth 640, and ninth 810. This is all excluding material costs. Any of those spells in a spellbook would cost three times as much. For a nice round number, I would say that dividing the value of a treasure any smaller than tenths makes for a tedious description. This means if I was splitting up a spellbook worth roughly 2000, I wouldn’t even consider adding less than a third level spell (90×3 > 200). Picking 10% as a hard and fast rule also means I could design my choosing algorithm around that number, creating random cases that never try to fill in a grouping of spells with any of them smaller than that value. What if I want some more spice to my spellbooks and wands? How should I handle adding unique descriptors to the spells and spellbooks? Flavor descriptors are easy to implement, and ignore if the user doesn’t like them. What if I added meaningful ones? Things that change the element or type, ones that swap or reverse effects, maybe metamagic type bonuses of strength. Those could either be neutral or give modifiers to the cost. For example a twinned spell might be worth 75% more, a hasted spell worth 50% more, a maximized spell worth 50% more, etc. To keep this interesting without being overly detailed, I think having roughly 5% of spells getting a modifier would keep them interesting without adding too much extra fluff to all the spells. -Hasted, 1.5, spell usable as a free action. -Enlarged, 1.25, spell’s area of effect is doubled. -Twinned, 1.75, spell is cast again as a free action at the start of the user’s next turn. -Maximized, 1.5, spell’s variable effects are maximized. -Empowered, 1.25, spell’s variable effects are increased by 50%. -Heightened, 1.1, spell is treated as one spell level higher, DC increased by 1. -Masked, 1.1, spell appears as a different school of magic and spell, investigator must beat the DC to discover the deception. -Relentless, 1.25, if the first target saves or ignores the effect, the caster can target a new target in range. -Substitution, 1.1, one element of the spell is replaced by a different element. -Enduring, 1.25, the spell lasts twice as long. -Piercing, 1.5, the spell halves magical protections, immunities, and resistances against it. -Inconspicuous, 1.25, the spell is cast without overt motions or incantations. -Safe, 1.25, if the spell would kill, the target is instead left at 0, unconscious. -Catalytic, 1.5, if the target is hit by a spell of greater level in the next minute, the catalytic spell triggers a second time. -Mutating, 1.5, the cast spell slot is filled with a random spell of the same school, one level lower without the mutating. -Tough, 1.1, concentration saves with this spell are made with advantage. -Malleable, 1.5, the spell’s area can form any contiguous, simple shape of the same area: circle, rectangle, square, cone, etc. -Reaching, 1.1, the spell’s range is increased by one step: touch to close to medium to far to within sight. -Lingering, 1.25, damage and wounds this spell causes cannot be healed for spell level minutes or their residue is dispelled. -Careful, 1.25, the spell can be cast to exclude up to two targets from its area of effect. What about cursed/trade-off descriptors? Maybe 5% of the descriptors? -Double-edged, 0.9, spell is also cast on the caster, but rolls variable effects with advantage. -Cheap, 0.5, creatures have advantage on saves against this spell. -Wandering, 0.75, Duration is doubled, 10% chance the caster must move it to a new valid target each round. No repeats. -Contagious, 0.9, if the original spell kills the target, the spell is recast targeting the nearest target in range. 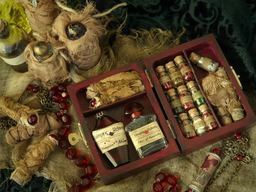 -Sympathetic, 0.75, if the creature has a magical resistance, protection, or immunity, this spell changes to be affected by it. -Faint, 0.5, this spell rolls its variable effects with disadvantage. -Illusory, 0.25, this spell has all its variable effects minimized. -Anemic, 0.75, the spell is cast as if it was one level lower, minimum cantrip, DC decreased by 1. -Blood-Filled, Graceful-Moving, Ash-Spreading, Noxious-Smelling, Sound-Delayed, Musically-Inclined, etc. Yeah but spellbooks are for learning, they can’t cost the same as scrolls. Spellbooks would be some multiple higher of that, as they would have the capability to teach the spell in question. These are much more valuable than scrolls in that the user learns the spell and can then cast it themselves in perpetuity with their own bonuses and abilities but are less valuable in that the spelbook/teaching book requires work to learn and does not cast the spell on its own. Somewhere between 5-10 times the price of a scroll seems accurate for these spellbooks. They should have no risk of failure to learn the skill, except maybe increasing the time cost, unlike learning from scrolls which have a chance of destroying the scroll without learning anything. Also, because they rely on other abilities to power them (i.e. a class’ native spellcasting per day) they are not degraded by the learning process and could thus be used by many people, something which keeps the price down despite the increased complexity in creating a teaching rather than functional spell description. Skillbooks could function very similarly, generating a price based on the equivalent “spell level” of the ability and is powered by the usage of an existing class ability. Let’s go with 5 as the multiplier because adventures want instant results, not any of that studying nonsense, so the value is lower. -Two spells of one level and a third of a level lower. The base formula means that LVL = Ceiling (Root(value/25)). That covers the 80% case. I could also just search which number it is between: 25, 50, 200, 450, 800, 1250, 1800, 2450, 3200, 4050. For 0th – 9th level spellbooks respectively. These values could be modified by the descriptors above. These levels seem about right for the sale value of spellbooks, and give some variety of composition without making treasure hoards a tedious textbook of endless description. Spellcasters wanting to improve their repertoire will likely find these books pricey but not out of reach for something they really want. I can always narrative hand-wave this that found spellbooks contain plenty of spells, but most of them are like your grandmother’s recipe cards, full of inside references that only she gets, meaning very few of them are detailed enough for someone else to use (probably the one their apprentice directly complained about and forced them to write out in detail, like your mom had to force your grandmother to write out what exactly she means by “some sugar to taste” or “take out to add the remaining ingredients when the oven is done preheating”. The only thing I’m not happy about is the low-ish top end of the spellbooks as they max out at a hasted spellbook with three level nine spells worth roughly 10,000, whereas my other magic items go on another order of magnitude in sale price. I guess this works out in the fact that an artifact generally covers lots of power and supplies it own power source, but a spellbook just teaches you the spell, you’ve still got to use your limited daily spell slots to cast them. They aren’t so low at the top end that they will get excluded from treasure hoard results either, so it should be fine. Also, it would be easy enough to add multiple spellbooks together if a particularly notable spellcaster’s treasure is required, since the spells combine their values together additively. What about wands then, they are different from both those other two? 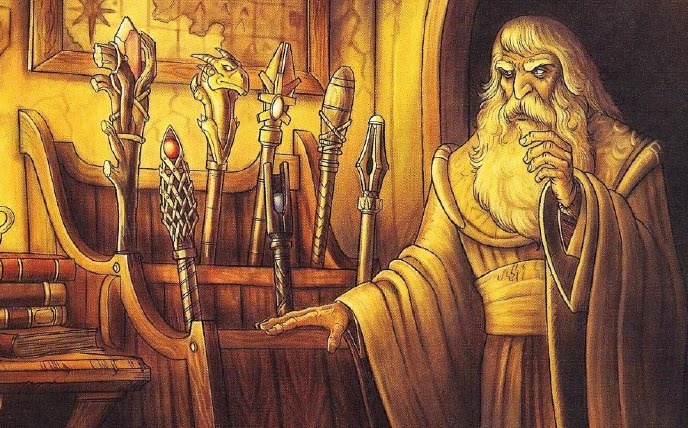 Wands and multi-cast scroll-like items. Items with the ability to keep casting the spell each day would cost 10-15 times what the same scroll would cost. Wands would also have some multiplier on price based on how many times they can cast each day, perhaps 80% of each time after the first, recursively, up to 5 times each day, after that it’s basically a cast-at-will wand. This would cost 180% for twice a day, 240% for thrice a day, 290% for four times a day, and 330% for five times a day, 360% for six times a day, 380% for seven times a day, and 400% for at will. I like the numbers (rounded to the nearest 10%), but for ease of use, I’ll collapse that down to 1-5 times per day at 100%, 180%, 240%, 290%, and 330%, respectively, plus an at-will at 400%. EX: my wand of healing casts a 1st level equivalent healing three times each day and costs 300. A scroll for the same spell would cost 10. Multiply the 10 by 240% for the 3 times each day results in 24, and then a multiplier of 10-15 for the ability to recast the spell daily rounds the numbers to work out about right, with fudge-factors due to mass-production, market forces, and material costs. EX: Double checking with wand of magic missiles, usable thirteen times each day. 10 for a first level spell, multiplied by 10-15, for 100-150, multiplied by 400% for “at will” results in 400-600, meaning the 500 purchase price is right on target with my existing prices. Now that I have my numbers I can reverse engineer the algorithm to take the value given, and then divide by 12.5 to get the target spell value. This can be further modified with a chance to further divide by 1.8, 2.4, etc. for multiple casts per day (with a check to undo that division if the resulting value wouldn’t even net a cantrip). Then select a spell based on that value,or grab a random cantrip if the value isn’t enough. Now, the generator will take the value of that spell and multiply it out by the previous factors to get the actual wand price, which is then divided by 2 to list it at its sell price per my standard method of showing the prices in terms that adventurers care for. Being able to cast more times each day and descriptor modifiers would apply to those prices too. This goes up to a maximum sale price of a Twinned 9th Level Wand usable at will with a sale price of 35437.5. Granted, this does seem rather inexpensive for a wand that can keep recasting a 9th level spell (but the Twinned descriptor isn’t as powerful for a cast-at-will wand anyways). However, this rule of thumb generally works and such high level spells are going to be incredibly rare loot that the DM can always feel free to modify costs upwards or usefulness downwards, perhaps replacing it with a lower level wand or one that can cast multiple lower level spells instead of a single 9th level spell, as the capacity of a wand could easily be additive without causing balance issues. That just leaves skills, like languages, random minor abilities, and the like. As for skills, I could bucket them into similar level categorizations based on their relative power or usefulness but since there is no existing mechanism for them to be powered by, they would have to provide their own power source rather than share it with existing class features. I could force a player to swap out a learned skill for a class skill, perhaps during a short or long rest, but they are so variable across classes and levels, unlike spell level progressions, that I see it flipping wildly between being uselessly under-powered and so overpowered that it is effectively a straight upgrade. With that in mind, they cannot work the same way as spellbooks, otherwise a party could buy one have everyone learn the new skill. Their teaching abilities should be some combination of limited, more expensive, or time intensive. I think making a book only able to teach one or a few people cannot be justified narratively, so that’s out the window. The second two seem more promising, what if skillbooks are double the price of an equivalent spellbok, I mean, they do provide their own activation rather than drawing from a limited pool of existing spells per day. Also, having them take longer to learn means that while everyone could theoretically learn the skill, the opportunity cost of the downtime they are losing should be enough to deter them in any game where downtime has alternative uses, like studying new languages, spells, or doing profitable work. If every player in one of my parties desired to learn every skillbook that comes their way, well, who am I to say that they can’t play Studying Textbooks, the Game. In fact, if they’re so enamored with learning skills, perhaps I should invent more mechanics for them to do so rather than focusing on the exploring or monster killing stuff they keep ignoring in favor of learning skills. On the other hand, if they just want to handwave away the weeks to munchkin up their characters, then I am not doing my job of creating a world because it should keep on going around them, have I not given them enough connection to world events that they feel they can just fast-forward a few weeks without consequence? Skillbooks and skillwands would cost twice what the equivalent above would cost. 50, 100, 400, 900, 1600, 2500, 3600, 4900, 6400, 8100. For 0th – 9th level skillbooks respectively. Those would be modified by the daily use modifier. Thus an adventurer who wanted a skill to be used sparingly might find it more time economical to buy scrolls (if they expect to use the skill fewer than 7 times in their lifetime) or a wand (if they intend to use the skill less than once a day but more than 7 times or if they have a high premium on their free time to learn a new skill or they want to be able to have multiple people use the skill). The nice thing about this is that it could quantify any number of magic items that attempt to take the place of say, a rogue’s locking picking skills or a wizards magic detection. Does it follow tracks like a 3rd level ranger once each day? That item should be in the ballpark of 125 (as a 2nd level skill wand usable once each day). Probably not perfect, but I like knowing that I am at least in the right ballpark. What should I do with all these Minis? Is it a little chilly in here? Wow you actually check the labels?